This is great sci-fi fantasy action just the way I want it. First of all, I have to say that I am a great fan of the pen and paper roleplay game Shadowrun by Catalyst Games, and despite not being able to find any direct reference og link between that universe and that of this movie, I am pretty sure that Bright is set in the same as the first edition of the game. That obviously might cloud my judgement and might also swing both ways - this case, though, it is to the positive side. The story i pretty simple - a cop gets signed up with a partner he does not like, gets tangled into a sticky and complicated situation and ends up saving the day together with his partner and now new friend. There are no surprises here, and the plot really does not have any noteworthy twists either. However, the normalization of adding several new races to the humanoid species and the inclusion of a magic wand is done in a such a way that it seems effortless and yet still highly functional. If you are not familiar with the universe of Shadowrun, that I guess that you will lack quite a lot of information and background stories about the races and how they came to achieve their status and situation. There is A LOT that is not explained in the movie, but the story manages to keep rolling despite this and even though I would have liked the background information, I do not think it damages the movie. 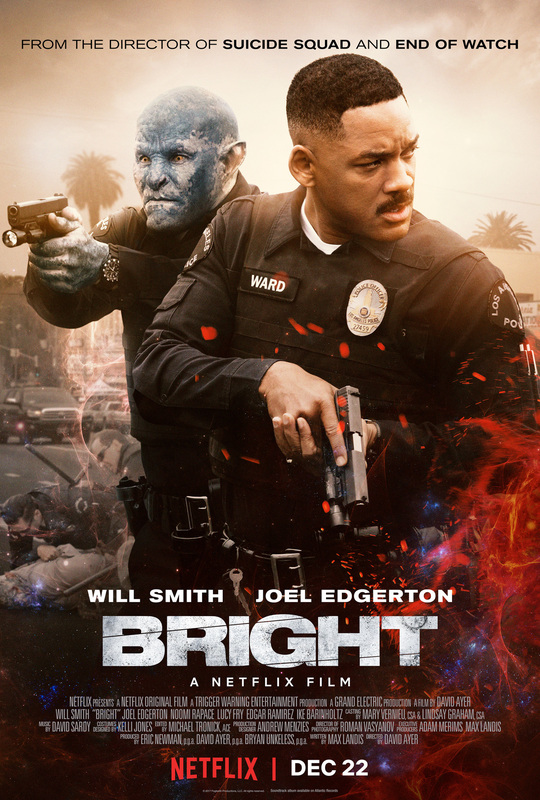 Will Smith is perfect as a wisecracking policeman stuck with a partner he does not like. Running his mouth is one of his brilliant talent. That a action really. Joel Edgerton does a pretty good job playing an orc. I was impressed about how his gestures, reaction patterns and body language was just a bit different than what you would have expected from a “human”. That was well done. The special effects were as we have come to expect from well executed action movies produced by companies behind well established streaming service providers. I watched this on my home theater system on a big screen and with surround sound and I enjoyed it all the way through. A point of critique would be the very direct reference to the movie Shrek, where Will Smith’s character Ward call and orc Shrek and tells him to go home to Fiona. This might bring out a cheap laugh, but as the story is to take place 2,000 years from now, I highly doubt that anyone would remember the green ogre from the swamp. In my opinion that should have been edited out as a bad idea. In general I really enjoyed this movie and absolutely hope to see more in the same universe, series and genre. You have my approval to start the production of the next in line.